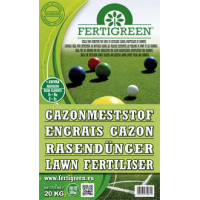 Fertigreen® lawn fertilizer is a mineral poor chloride NPK fertilizer with a balanced composition. 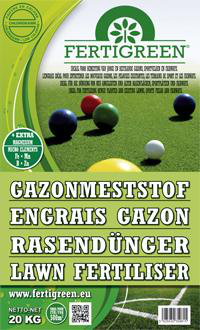 Contains all the essential elements necessary for the healthy growth of the grass. Ideal for the fertilization of young and old lawns, sports fields and fairways. Easily pourable, dust-free and fast-soluble granule. Less grain than traditional granular NPK fertilizers; thus the grain is close to the grass.